Raise your hand if you’re interested in a free pass to Search Engine Strategies San Francisco? Better yet, enter this contest if you’re interested in a free pass to SES San Francisco! That’s right. Bruce Clay, Inc. is handing over a three-day SES SF conference pass to the winner of the Small Biz Discovery Contest. While you’re at the conference, you can attend the partnered one-day SEO training with Bruce, too! If going to San Francisco, attending a stellar conference and networking with the SEO industry’s finest is something you’d be into, then here’s what you’re going to do. To enter the contest, answer the question: What one recommendation would you give to small business owners to improve their online presence? You can go at it from one of three categories: SEO, PPC or SMM. Articles must be a minimum of 750 words. Articles must explain how the SEO, PPC or SMM tactic would help a small business and include the steps to do it. One person can submit up to one entry per category. One company may have up to two people enter the contest. Send articles to social-bc@bruceclay.com starting May 1, 2010. The deadline to submit an article to the contest is May 31, 2010. All contest submissions are property of Bruce Clay, Inc.
One (1) Grand Prize: A Platinum Passport to Search Engine Strategies San Francisco 2010, a seat in the SES San Francisco 1-day SEO training with Bruce Clay, and a copy of SEO All-In-One for Dummies. That’s a prize worth $3,240! Once you’ve submitted your article(s), we’ll open up voting to the public. A first round of voting will determine the two favorite entries in each category. The second round of voting will determine the top-of-category winner and the runner-up. That’s when we’ll select the grand-prize winner from the category winners. P.S. 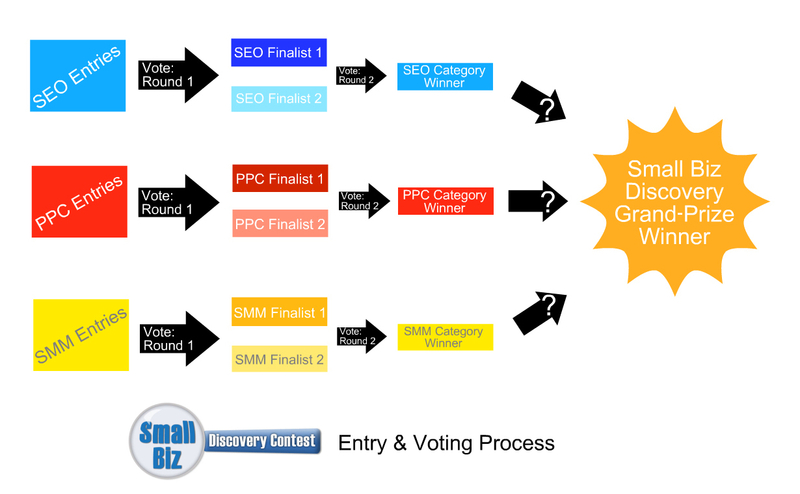 Everyone who votes can enter a drawing to win a seat in our standard SEO training in California or New York. We’ll give you more details about how to vote as the voting period approaches. Thanks for the opportunity to clarify, Cathy. The audience is the small business owner. Take into account their considerations, including budget, time, resources and technical limitations. We can’t wait to see what your recommendation will be! Who is the audience for the article, small business owners or SEOs who work with small business owners?